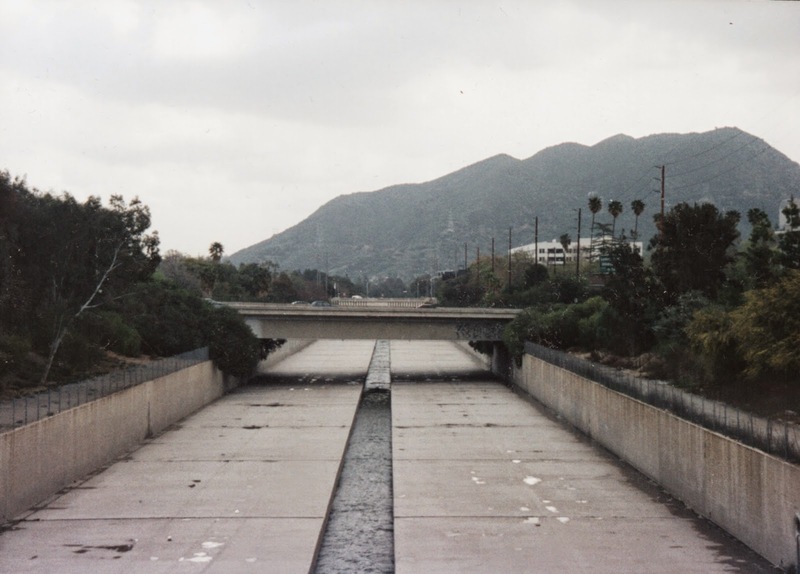 After the Los Angeles River flows past Sepulveda Dam it returns to a narrow channel and crosses under a bunch of nondescript bridges including the San Diego (405) and Ventura (101) freeways. Only when we approached the Hollywood Hills does the river get wider and the bridges become more interesting. The West Olive Avenue Bridge (53C1098) is show below It's a 7-span steel stringer bridge that was built in 1935 and widened in 1975. 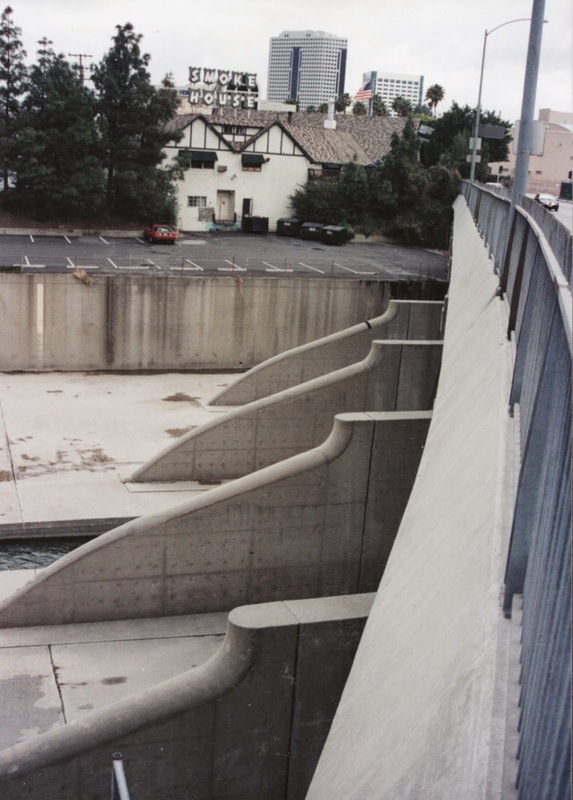 It's most distinguishing feature are the beautiful sculpted dolphins on it's upstream side. 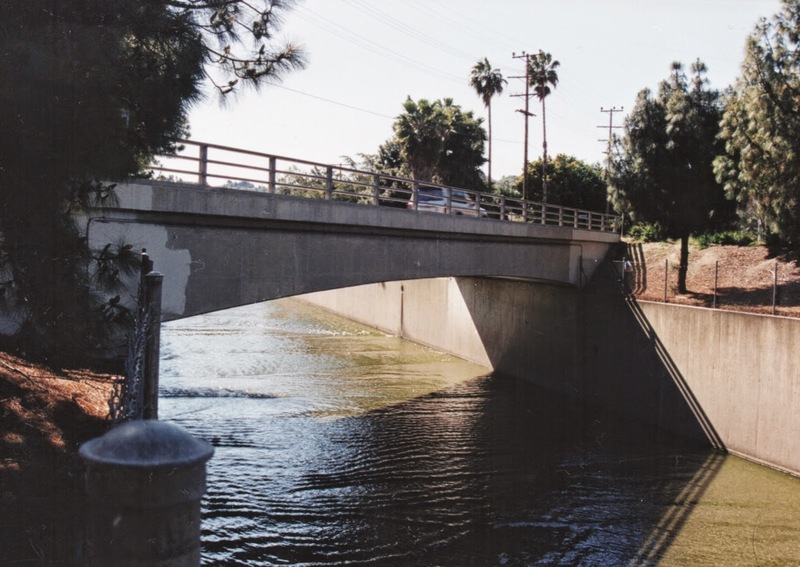 Los Angeles County, California Bridges: West Olive Avenue Bridge across the Los Angeles River by Mark Yashinsky is licensed under a Creative Commons Attribution-NonCommercial-NoDerivatives 4.0 International License.